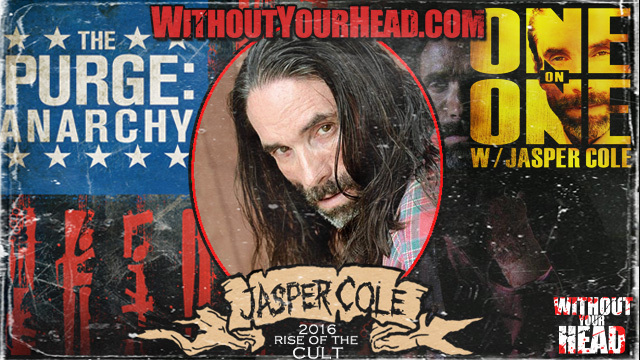 Jasper Cole "Hollywood's Bad Guy" opened the show follwed by "Evil Dead" star Theresa Tilly and Dan Riesser of the Bigfoot horror film "Stomping Ground"! Jasper Cole of over 100 film and TV series opened the show talking about his career, acting advice and his radio program "One on One with Jasper Cole"! Then Theresa Tilly of the 1981 horror classic "The Evil Dead" and director Dan Riesser joined us talking about their new Bigfoot horror film "Stomping Ground"! Nasty Neal and Terrible Troy went over no budget remakes, the new "Ghostbusters" trailer, "10 Cloverfield Lane" and more! Artist of the month The Army of Walking Corpses supplied the tunes! "They Came From Outerspace", "Roadkiller" and "Chelsea Grinn" by Army of Walking Corpses!